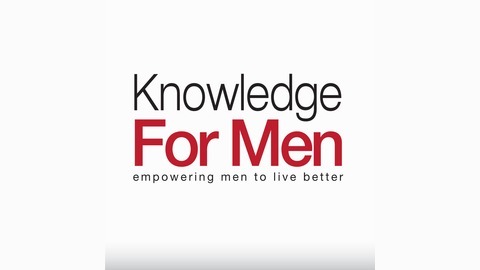 Today's most successful men share their life lessons to help you reach your full potential in the areas of masculinity, wealth, freedom, relationships, and personal growth. Every show is jam packed with actionable tips and insights that will propel you forward to become the man you want to become. 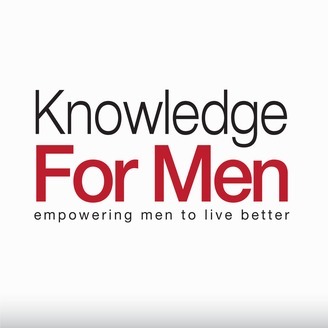 Join us at www.knowledgeformen.com for recaps of every interview as well as an incredible gold mine of resources to help you live the greatest life possible. Prepare to grow into the strongest version of yourself! Lee Ellis is President and Founder of Leadership Freedom® and FreedomStar Media™. For more than fifteen years he has served as an executive coach and a corporate consultant in the areas of hiring, teambuilding, leadership development, and succession planning. His clients include Fortune 500 senior executives and C-Level leaders in a variety of industries. Since 1990, Lee has managed the development, validation, and internet deployment of several personality and leadership assessments that have been used by more than 200,000 individuals. There was once a story that one of my employees shared with me about a life lesson his grandfather had shared with him during his summer stint working as a landscaper. His grandad had spent nearly a decade of his life operating a construction contracting business, designing and building custom homes for the upper class members of his hometown. One of his clients who had been a long time acquantaince hired his grandfather to build a home costing several hundred thousand dollars (back in the 80’s). Happy to oblige his friend, the grandfather took the contract and completed the home to perfection. When the work was done and the house was built, he went to his friend to collect the payment for his services. His friend however, had no intention of paying for the home and due to the ambiguous terms of their contract, he knew that pursuing a law suit would be a costly endeavor. He continued on grinding and working hard, developing a number of successful businesses throughout the years and achieving great successes in his personal and professional life, always conducting business with integrity and honor. The other man however, despite his massive financial success, died of a massive heart attack at his office, alone and unloved. While the contrast between the two men may seem obvious, the true moral of this story is that success is not about material wealth or finanical gain. It’s about doing the right thing no matter what the cost. That is no small order, but if you can carry out your life with honor each and every day, you will be able to die fulfilled and live a life of joy and companionship. How many of you have taken the Myers Brigg’s Personality Test? If you have, then odds are good that some of the conclusions the test made about you and your personality may have surprised you. And herein lies one of the greatest problems with our society. We do not value introspection and self knowledge like Eastern societies and ancient people’s did. We value work and results. And while these two things are important, you will never be able to achieve at your fullest potential if you do not know yourself as deeply and intimately as possible. How can you ever expect to perform at a high level if you do not first know who you are and how you perform? How can you succeed when everything you are doing is in stark opposition to your deeply held values and personality? You must discover who you really are, how you work best, what personality traits you have, what motivates you, what discourages you, what strikes fear into your heart, and what you truly want. Because unless you can answer those questions, you will never truly tap into your potential. The greatest travesty of every generation is the young men and women with boundless potential who waste everything because they did not guard their character. Everyone knows that kid, maybe you met them in high school or grew up with them in your hometown, who showed tremendous potential growing up. They were the captain of the football team, the straight A student and the leader of all of the clubs at their school. But somewhere along the lines, they screwed up. They made that one compromise of character that opened up Pandora’s box and destroyed their lives. Maybe they cheated on one test and lost a scholarship, maybe they started abusing drugs and were arrested in their first semester, maybe they slept around and ended up getting someone pregnant. Whatever they did, it shocked you because you knew that wasn’t like them. It takes a lifetime to develop a reputation and build your character, but only one dumb decision to compromise it. If you want to live a fulfilling and joyful life, then you have to make decision based upon your values and not your impulses. While everyone operates under different moral codes, you all know what you consider wrong and right and when you should or should not do something. Listen to that voice in your head and do not compromise your character for anyone or anything. There are two basic styles of leadership, results focused and relationship focused. And odds are, if you have spent any appreciable amount of time in the world of high performance leadership, you have come into contact with both styles of leaders. The results focused leader is the stereotypical drill sergeant style of leadership. These are the men who want things to get done, they don’t care who does it or what excuses come up, they simply want things and want them now. Relationship-oriented leaders on the other hand are the types of leaders who care more about their people then the mission, they are the ones who, while admittedly kinder are more likely to get pushed around and taken advantage of. Both styles have their own unique strengths and weaknesses, and all truly excellent leaders know how to balance these two styles of command to achieve their desired outcome. The leader who knows how to balance relationships and results will be able to discern between employees who have been misplaced and assigned to positions that are incongruent with their personalities and employees who are just darn lazy. The leader who knows how to balance relationships and results will be able to know when he is pushing his people too hard and when they have potential to go further. The leader who can balance relationships and results will be able to achieve anything he sets his mind to because he will have his followers love as well as their respect. Every man has fears and doubts about his worth, ability, and potential. They are bred into us from an early age by society, friends, and even family. But you must realize something. As a man, outside of your integrity, no characteristic will determine your success and fulfillment more than your ability to feel the fear and do it anyways. When Lee and his friends were being tortured and imprisoned by the Viet Cong, do you think that they were not afraid? Do you think that none of them ever thought about betraying their country or ending their own lives to escape the torment? And some of them did. Now, years after the fact, it is the men who were able to embrace their fears and doubts and stand strong who are seen as heroes, who are loved by their brothers in arms, and who can live with a clean conscience and a full heart. Your ability to face and overcome your fears is part of what defines you as a man. Never your fears hold you back from greateness, because at the end of the day, even if you die facing your fears, we are all dead men, and there is nothing more noble and honorable than to give your life pursuing what God put you on this earth to do.the worst thing.